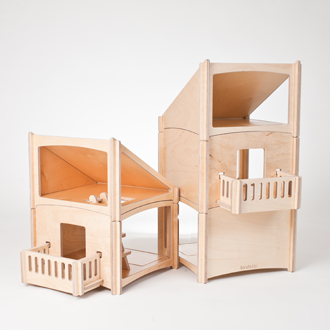 La Toideloi Stackhouse è una casa per bambole/macchinine/animali modulare, multi funzionale ed espandibile, creata da Martijn Van Tilburg e realizzata negli Stati Uniti. 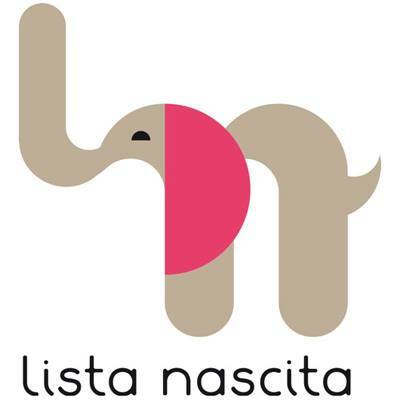 Perfetta per maschi e femmine, colori neutri, divertimento assicurato! Con la fantasia si può costruire un castello, un grattacielo, un piccolo villaggio. 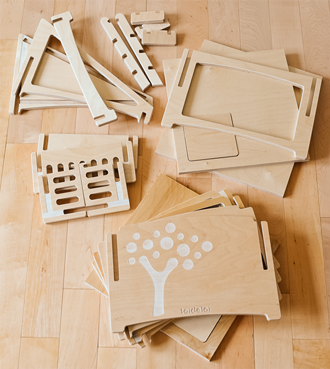 Realizzate interamente in legno (ecosostenibile) e senza l'uso di viti, tutte le stanze sono aperte ai lati, per permettere ai bambini di giocare su tutti e 4 i lati della struttura. 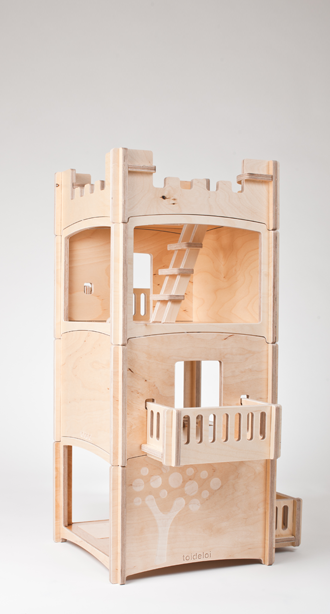 The Toideloi Stackhouse is a modular kid's playhouse. 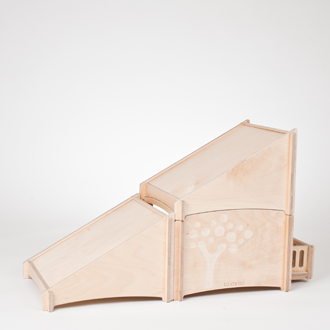 It is designed by Martijn van Tilburg and manufactured on a small scale, in the USA. House, sky-scraper, village or castle. Something different every day. 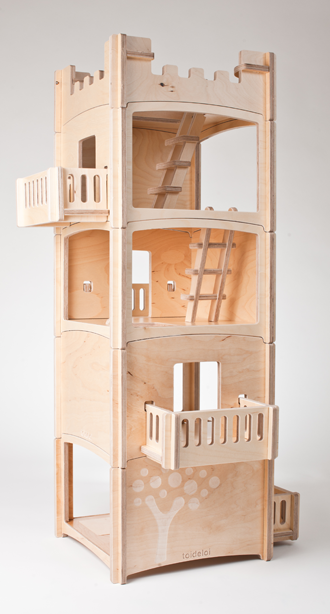 The Toideloi Stackhouse is modular. 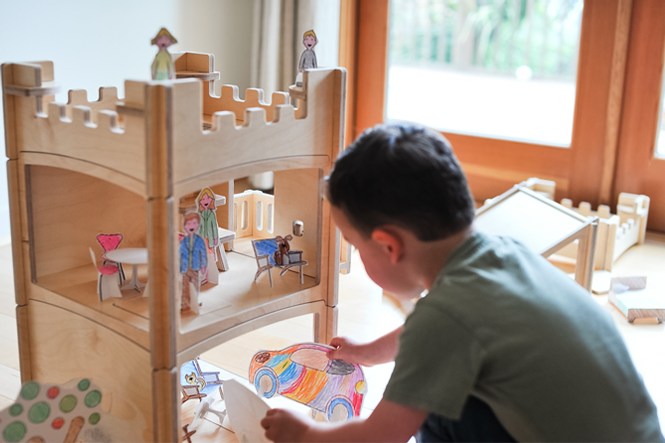 Kids or parents can change the house by arranging and stacking the rooms, balconies and roofs into many unique structures. The Stackhouse is expandable. No screws. Easily assembled and disassembled. The house is made entirely of birch plywood. 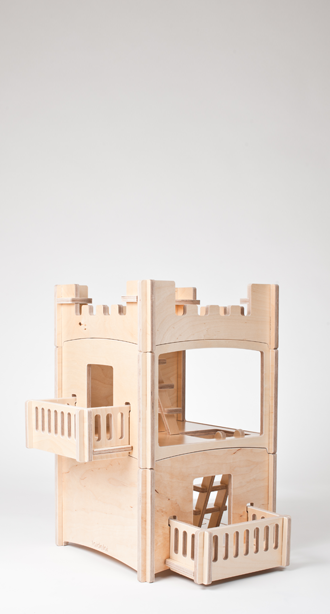 The rooms have big opening on two sides, so there is enough room for kids to play without knocking stuff over. 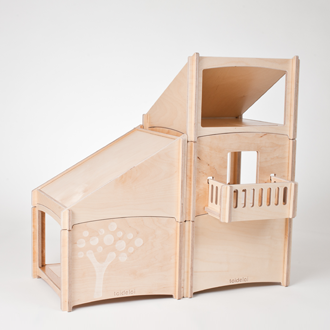 Kids can play with the house from four sides. They can separate one set into two houses. So they can play together without being in each others way.